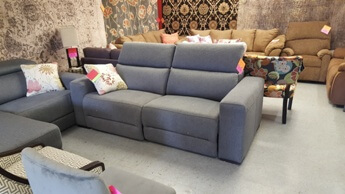 Designer loveseat features a modular design with adjustable headrests & slate fabric upholstery. Power reclining mechanism allows you to recline to the perfect position! 2-piece design.